Fill out the form below and we’ll get in touch to see if you’re a good fit for our team. Formal application to follow. We understand that you are the heart of the entire trucking industry, and you deserve to be respected for your hard work. At Relco Systems, you will ALWAYS be treated as the professional you are. We have an open door policy and WE LISTEN, should you need anything or have concerns either personally or professionally. Our goal is to make your work more fulfilling and your life better. Relco offers exceptionally maintained equipment, competitive pay, multiple benefit packages, and the amount of home time that is important to you. Most Of All, We Listen. You will not be just a number in a huge company – you are part of our family and an important part of our team. We have an open door policy and dispatch is one-on-one. At Relco, we also know that everyone needs reliable, steady income, so you will never be hired only to sit around waiting for work. Relco offers your choice of local, regional, and over-the-road driving positions, so you can choose the lifestyle that works for you. We have over 40 successful years in the trucking industry, and a reputation for excellence- so you can feel proud to be a part of a winning team. Let’s be successful together! Our equipment is meticulously cared for, with thorough preventative maintenance. 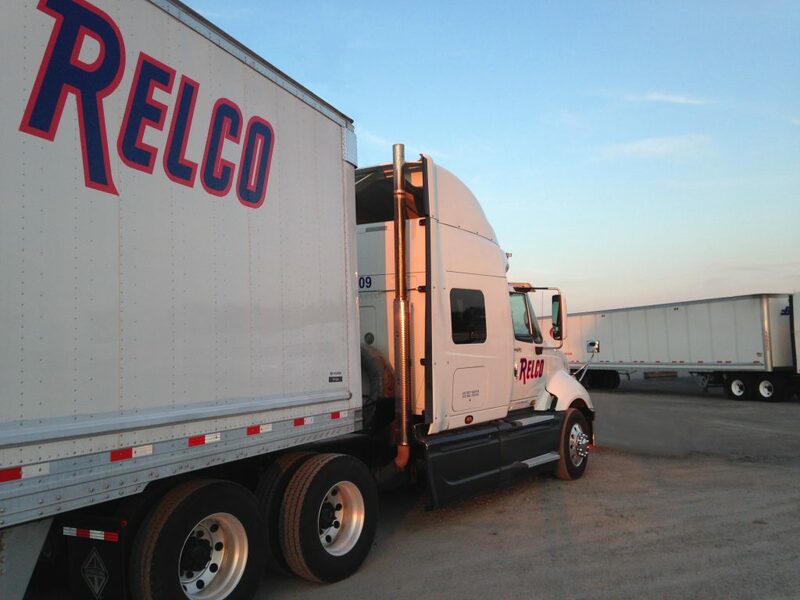 For the comfort and convenience of our valued drivers, Relco offers a Drivers’ Lounge, Sleeping Quarters, Lunchroom, Vending Machines, separate specialty Trailer Shop, Tractor Maintenance Shop, Tire Shop, and Wash Bay. EXCELLENT dispatchers and technicians are on call 24/7 to ensure that our drivers are always well taken care of. At Relco Systems, we take great pride in the excellent maintenance of our equipment. Our top notch maintenance technicians keep our drivers safe and on the road – which ultimately improves the quality of Relco’s service to customers. With experienced staff at each terminal, employees are able to find a stable career as well as a continuous learning environment. Relco also offers competitive pay and a comprehensive benefits package. We are always looking for driven, qualified individuals to join our skilled team. Contact us today to see what opportunities may be available! With the help of years of experience and a strong company to back them up, our employees are second to none in the logistics industry. As a result, Relco Systems takes pride in recruiting motivated, ambitious, and reliable professionals to join our successful team. Cross training at each level within the company allows for a huge opportunity for advancement. Prospective employees will learn from the best in an engaging, dynamic work environment. Possible areas of employment include: Accounting, Customer Service, Dispatch, IT, Load Planning, Safety & Recruiting careers. Similar to the industry, new opportunities are always arising at Relco Systems, Inc. Contact us today to find the exciting opportunities that await you!